GreenerEneregy.ca is a Wholesale Supplier, Developer and Installer of renewable energy power systems. We provide not only the expertise and the technical service the customer needs, but also a place for learning. We encourage growth through knowledge, use our growing "How To" section to learn more. Please visit our site often, as valuable industry tools will be added. Schüco SolarEZ enables fast, easy mounting of all Schüco PV modules, as well as all other major standard PV modules. All components are structurally tested and meticulously engineered to maximize ease of installation and minimize time on the roof. 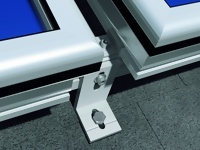 We give them an extra safety margin with “form lock” – the shape of our rails and elements makes them inherently tend to stay locked together, tightly and securely. SolarEZ is designed to allow for the greatest possible variability, to handle virtually any array size, configuration, or roof situation. The ezFlatRoof 2.0 Mounting System is a newly developed and engineered system based on the ezFlatRoof concept. In order to reduce costs of components, to reduce complexity of installation, to increase the span of the base profiles the following system has been developed. The Schüco ezFlatRoof 4.0 mounting system is the ideal solution for a variety of flat roofs - without ballast load and with only five installation components. The east / west alignment of Schüco thin-film modules in the AL series at an angle of just 10° allows for use of up to 90 % of the net roof area, without the need to penetrate the roof covering. The ezAnchor portfolio is suitable for almost every roof tile installation situation in order to handle a broad variety of roof tile types used in North America. All anchors are made out of stainless steel for the highest reliability and strength. The Schüco ezFlatRoof 1.0 PV Mounting System is one of the most flexible photovoltaic systems in the industry. 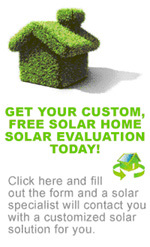 It is compatible with any kind of flat-roof or building installation (e.g. new construction, retrofit or renovation). When planning and designing a PV system, the location of the system installation is a decisive factor regarding the expected loads. The Schüco ezGroundMount 1.0 system for solar farms is one of the most robust photovoltaic mounting systems on the market. The ground-mounted system which is suitable for both crystalline and thin-film modules can be easily preassembled directly at the installation site or at the workshop. The Schüco ezGroundMount 2.0 System is a ballasted racking system suitable for crystalline and thin-film modules. The system is designed to provide a simple and fast to install PV racking system without the need for trenches, poles, anchors or any other similar interconnection method. The Schüco ezGroundMount 3.0 system enables fast and economical installation of large ground mounted systems with Schüco thin-film modules. The one-part support posts, which can be driven quickly and precisely in the ground, form the basis. The predimensioned table network can be adjusted in angles of 10º, 20º, 30º or 40º. The Schüco ezGroundMount 3.1 Racking System is a smart, economical solution for large scale photovoltaic installations. The system design was based around driven posts, requiring no special ground surface preparation prior to installation. The design provides a fast & simple-to-install PV racking system without the need for trenching, anchors or other interconnection methods.